Hi TCW, I'm forwarding a quote from the True Douay Rheims New Testament of 1582 ... the heretical Dimond Bros. are DESTROYED! This quote is from the Annotations to Chapter 5 of St. John's Gospel, pg. 168, which refers to and explains the curing of the bedridden man at the pool of Bethsaida. You recall, he had nobody to put him into the pond when the "water is troubled". The Lord asked: "Wilt thou be made whole?" and then "Arise, take up thy bed, and walk", and by which pool, it is said "...that these graces of corporal cures given to this water, prefigure the like force of the Sacrament of Baptism of the cure of souls." "Christ by his power of excellency and prerogative could and did heal this poor man that could get nobody to help him into the water, because HE EARNESTLY AND LONG DESIRED THE REMEDY BY GOD APPOINTED, BUT WAS EXCLUDED BY NECESSITY AS OUR LORD SAVETH ALL SUCH AS DIE WITHOUT BAPTISM, IF THEY IN THEIR OWN PERSON EARNESTLY INTENDED, DESIRED, AND SOUGHT FOR THE SAME." "Catechumens who, through no fault of their own, die WITHOUT Baptism, are to be treated as baptized." Can 1239§ 2. 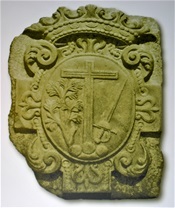 Catechumeni qui nulla sua culpa sine baptismo moriantur, baptizatis accensendi sunt. Jerry, thanks for your correspondence. These anti-Catholics know they are defeated. We recall a timeless holy admonition addressed to members of the Faithful in regards to heretics: avoid them as much as you value your salvation! Just took a call from what turned out to be a fanatical Feeneyite/Dimond Bros perverted heretic. Read them true Douay Rheims Annotations to Ch. 5 St John's that baptism by desire is part of de fide (waste of precious time)... had to hang up on the zombie. Hi. There's a Facebook link at the bottom right corner of each post that anyone can click to promote TCWBLOG.com articles to others. You can email them too. Hurray for you! This article needs to be widely distributed. I checked my original Rheims New Testement (1582) and confirmed that the above article is accurate. I am so glad to read the truth of BOD and BOB . I have been so desperately confused by the feenyites. Deo Gratias, Deo Gratias, Deo Gratias.